The Tweedy™ mixing process has earned a deserved reputation in the world of no-time dough, handling all ingredients in one rapid operation – the Chorleywood bread process. But there’s absolutely no reason why the Tweedy™ and its attributes of consistent quality, rapid mixing, efficiency at low cost, automatic control and hygiene should not be harnessed for other processes, including liquid sponge, sponge and dough, and sourdough. Liquid sponge is perhaps the simplest way of incorporating fermented flavours into bread products: we have a proven ability to install equipment for the automatic addition of up to 50% liquid sponge direct into the mixer at rates of anything up to 200kg every 30 seconds. Tweedy™ mixers are widely used around the world to mix dough for burger buns, a product to which liquid sponge is often applied. 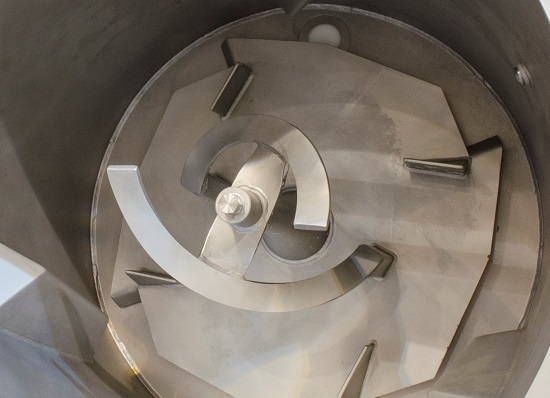 The sponge and dough process, widespread in many parts of the world, is conventionally handled in large roller bar mixers with a batch capacity of up to 1.5 tonnes. Up to half of that can be the premix – not easy to load into a large mixer. The Tweedy™, by comparison, has smaller batches mixed much more rapidly – up to 12 batches every hour, compared to three or four on a bar mixer. The high shear and efficient gluten matrix development of Tweedy™ mixing also means there is the potential to use flour with a lower protein level than in a roller bar mixer, or eliminate additions of vital wheat gluten – both meaningful cost savings. Finally, sourdough. Again, this presents no problem to the Tweedy™ process – the relatively small quantities of starter culture can easily be pumped or tipped into the bowl. Bakers agree that the high-speed mixer does nothing different, it just does the job faster - so the decisive factors governing purchase choice can swing in favour of the Tweedy™. 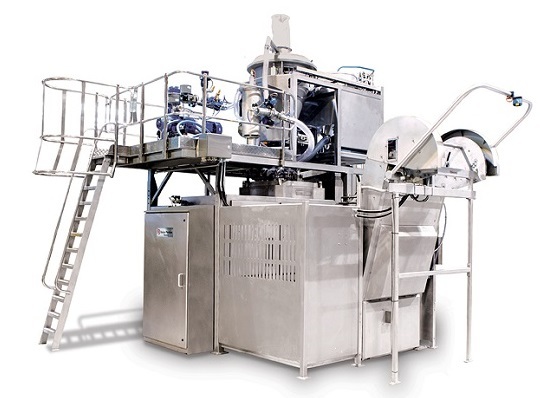 Alongside its versatility, Tweedy™ mixers offer fully automatic feed and discharge, recipe management without operator intervention, and a comprehensive automatic control system. Because mixing is rapid and batch sizes small, the dough is passed through the divider to the prover while it is fresh and before fermentation can begin, ensuring better product consistency. A new cooling jacket for the bowl allows final dough temperatures to be controlled when used in hot climates, while hygiene and maintenance are simple – a wash-in-place system for the bowl and lid is much more thorough and rapid than manual cleaning. All these claims can be verified on your own production line. A pilot scale Tweedy™ mixer, accompanied by a Baker Perkins food technologist, can be sent anywhere in the world for trials with your own ingredients and recipes.